Please click here for access to our FREE downloadable .dwg and .pdf files. 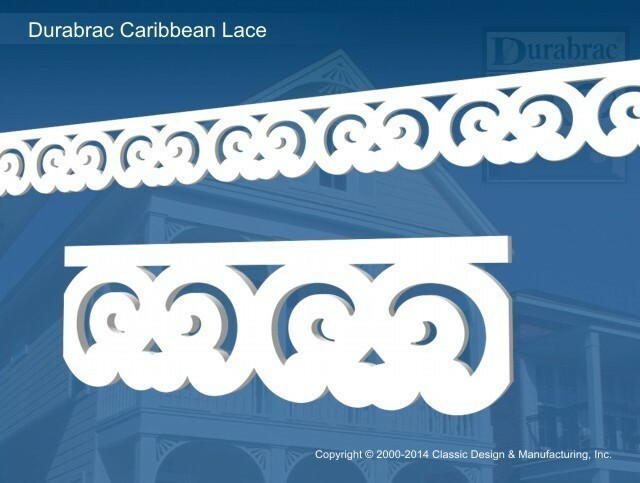 Size 5" x 92" x 1/2" 6-1/4" x 92" x 1/2" 7-5/8" x 92" x 3/4" 9" x 92" x 3/4"
Durabrac® Vinyl Running Trim is manufactured in 92 inch sections. When sections are installed end to end the pattern continues seamlessly. 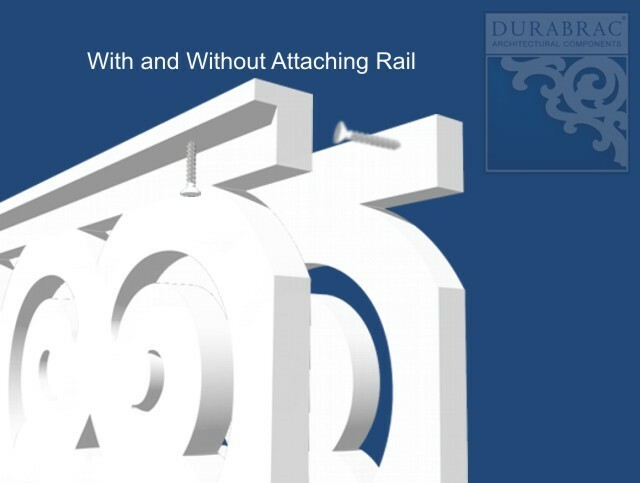 An optional attaching back rail is available for easier installations for running trim that will be attached overhead to hang down. Classic Design & Manufacturing, Inc.